Probably one of the most reliable car models out on the road is a Honda. Whether it's Honda Civic repair, Honda Accord service, Honda CR-V repairs, or Honda Pilot diagnostics and repairs, R & I Automotive will take good care of your vehicle. Yet, like any vehicle, they need regular maintenance and service, in order to live up to their reputation for reliability. We know it can be a daunting task, trying to pick the right place to take care of your car, which is why we have good news! You have found the right place! R & I Automotive of San Rafael is a full service auto repair shop that offers nothing but the best of care for you and your vehicle. 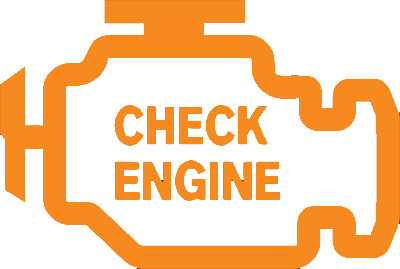 Whether your CR-V has the check engine light on, or your Accord needs new brake pads, we can have that checked out and taken care of. Most of the time, we can get your car back to you the same day. More complex problems, like transmission issues or major engine problems may require more than a day to repair. Here at R & I Automotive our technicians are certified by the National Institute for Automotive Service Excellence (ASE). Auto repair is our passion and a lifelong profession. We provide top quality Honda repair, and continually improve our skills, as the industry moves towards more computerized vehicles and diagnostics. We have also had Hybrid training, so you can bring your Honda Hybrid to us for any maintenance service or repair it may require. Our goal is to get you back on the road as quickly as possible, with minimum of inconvenience. We offer both “early bird” and late night drop off. If you cannot call, you can schedule an appointment online. We are a premiere San Rafael auto repair shop, with convenient location in Terra Linda, right next to Scotty’s supermarket. Whether you need a tune-up, oil change, routine maintenance, new tires, or major repairs, we are here for you. Feel free to give us a call or set up an appointment online.